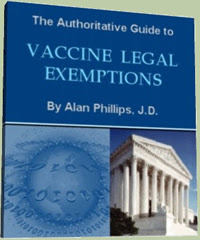 With the current practice of injecting several multi-valent vaccines (often as many as 9 separate vaccines) into an infant or toddler during the same office visit, some recipients’ central nervous systems (CNS) apparently become overloaded and/or the brain suffers dramatic injury from multiple neurotoxins and other toxic chemicals crossing the blood-brain barrier (BBB); others experience severe allergic reactions to one or more of the vaccine components. Encephalopathy or anaphylaxis can occur with fatal results. The Tsumiyama, et al. paper contains information pathologists may find helpful. Interleukin-1 beta (IL-1β) – IL-1beta is one of the key mediators of the inflammatory response to physical stress. Each of the 3 injections contains 225 ug of aluminium hydroxyphosphate sulfate, plus sodium borate (a pesticide), andpolysorbate 80, an emulsifier linked with anaphylaxis, convulsions, collapse. Post-mortem blood and tissue findings should prevail in court if these substances were in the system at the time of death, since vaccines are one of the primary sources. Norma Erickson is the President of SaneVax Inc., promoting Safe, Affordable, Necessary & Effective vaccines and vaccination practices through education and information. Catherine J. Frompovich (website) is a retired natural nutritionist who earned advanced degrees in Nutrition and Holistic Health Sciences, Certification in Orthomolecular Theory and Practice plus Paralegal Studies. Catherine’s latest book, A Cancer Answer, Holistic BREAST Cancer Management, A Guide to Effective & Non-Toxic Treatments, is available on Amazon.com. Be the first to comment on "A Parent’s Guide: What to do if your child dies after vaccination"